A developer was praised by councillors for working with the council and community to provide a new doctors’ surgery as part of a planning application to build new homes in Husbands Bosworth. Cllr Simon Galton said Davidsons Homes, of Ibstock, should be commended for working with the council during the planning process. Harborough Council’s planning committee unanimously approved Davidsons’ plan for 41 new homes and a new GPs’ surgery for land east of Welford Road in the village. 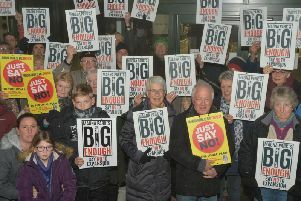 Not a single objection was raised against the plan, councillors heard. Brian Smith, who spoke supporting the plan, said it would provide a “21st century facility” for the village. The current surgery in the village has 8,000 patients on its books.